On a distant island a man waits. Robbed of his position, power and wealth, his enemies have left him in isolation. But this is no ordinary man, and this no ordinary island. Prospero is a magician, able to control the very elements and bend nature to his will. When a sail appears on the horizon, he reaches out across the ocean to the ship that carries the men who wronged him. Creating a vast magical storm, he wrecks the ship and washes his enemies up on the shore. When they wake they find themselves lost on a fantastical island where nothing is as it seems. 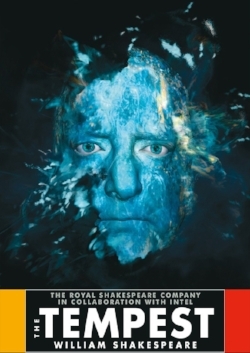 Simon Russell Beale returns to the RSC after twenty years to play Prospero in this groundbreaking production directed by Royal Shakespeare Company Artistic Director Gregory Doran. Friday • March 31 • 4:30 p.m.
Saturday • April 1 • 4:30 p.m.
Sunday • April 2 • 3 p.m.
Monday • April 3 • 2 p.m.
Tuesday • April 4 • 2:30 p.m.
Wednesday • April 5 • 7 p.m.